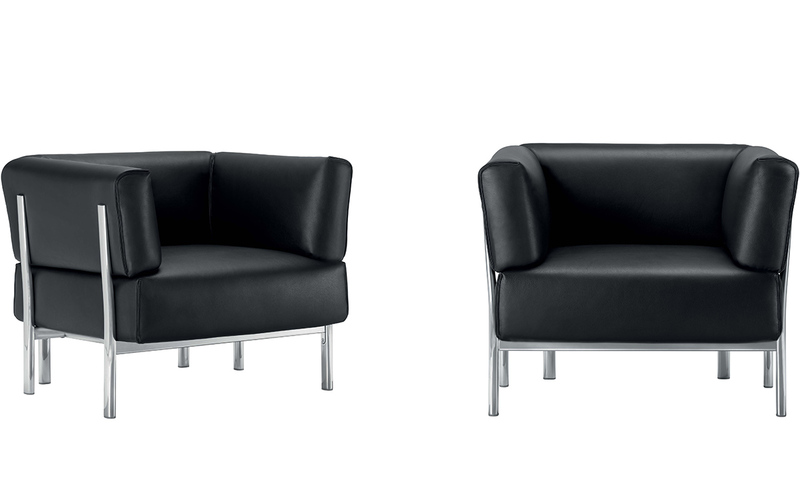 Compact volumes, essential clean-cut lines with one distinctive central feature: aluminium legs to which the back and armrests cushions are anchored. 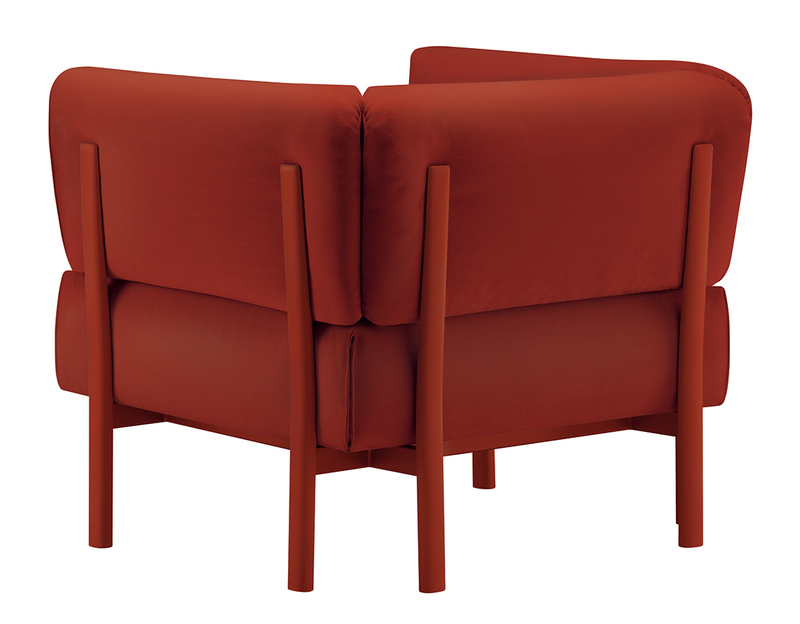 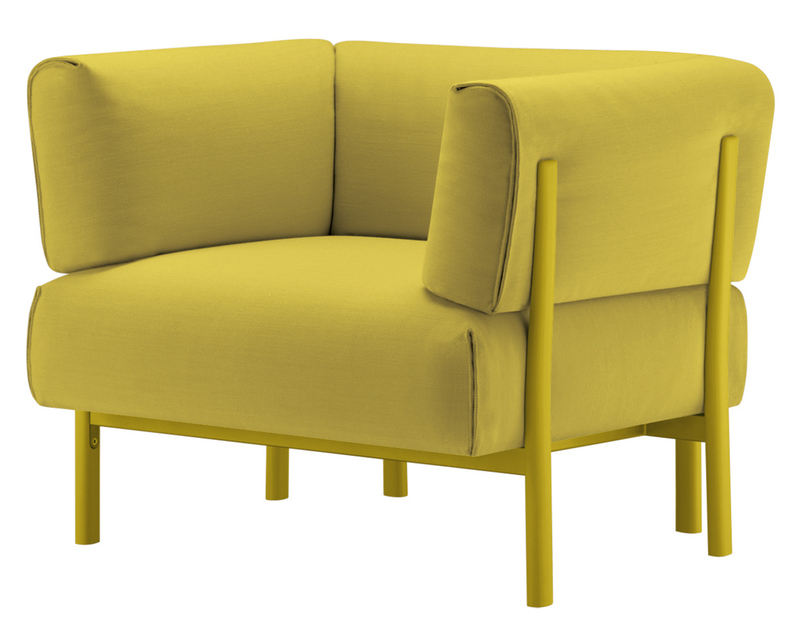 A system of one, two and three-seater sofa elements designed by PearsonLloyd, the angular elegance of eleven provides the ideal solution for both domestic interiors and communal spaces. 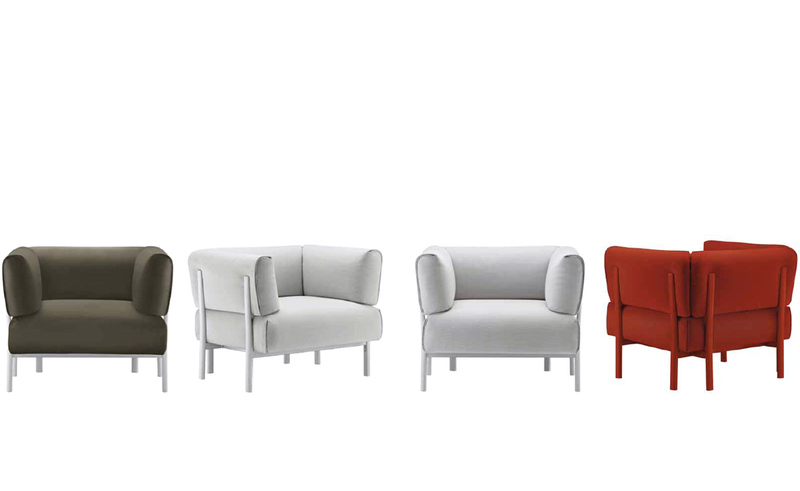 The slender legs, produced in cast aluminium and enamelled in various colors, are the unmistakable feature of each seating element in the eleven collection. 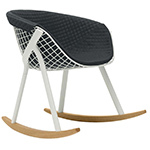 The steel frame is strung with elastic webbing to guarantee maximum comfort and supports the seat, back and armrests cushions, which are formed in varying densities of polyurethane. 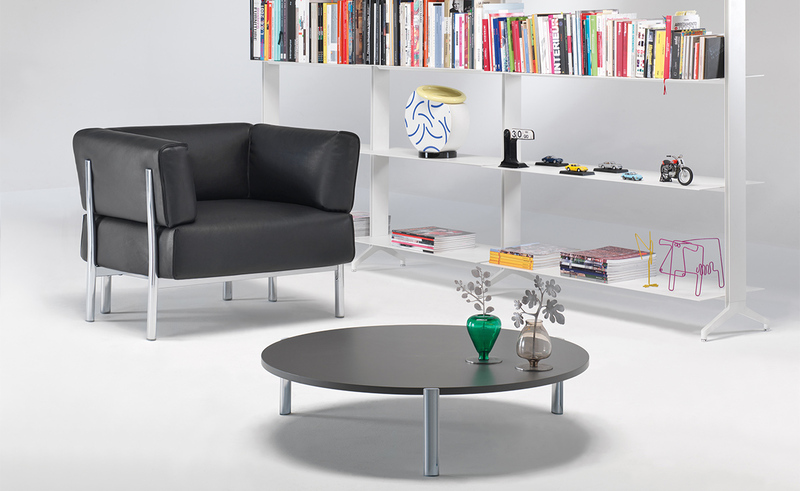 Upholstery is available in fabric or leather with a wide variety of colors and materials to choose from. 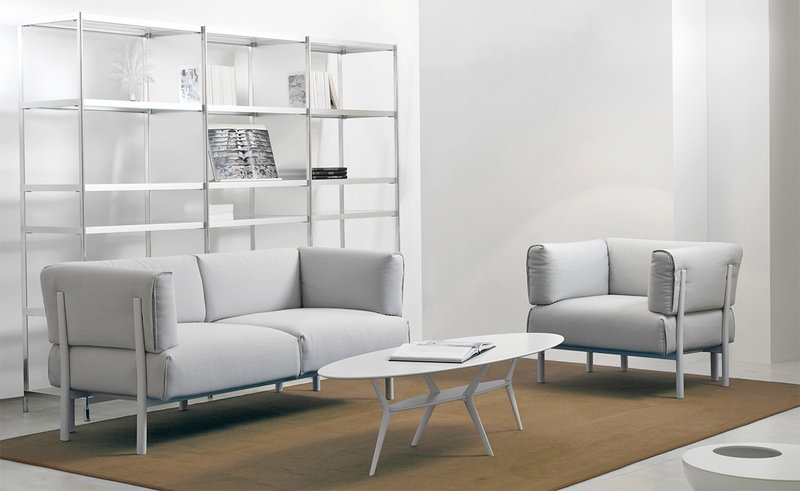 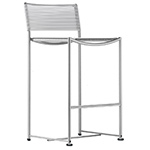 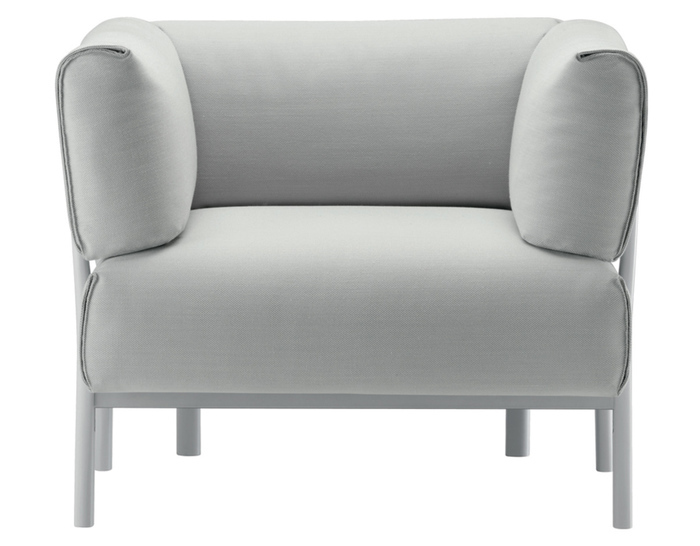 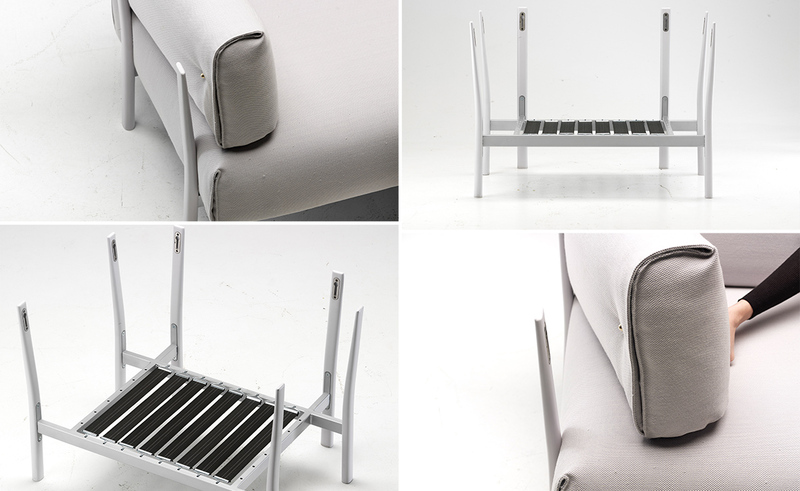 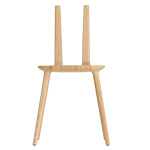 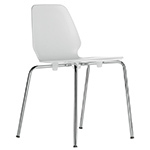 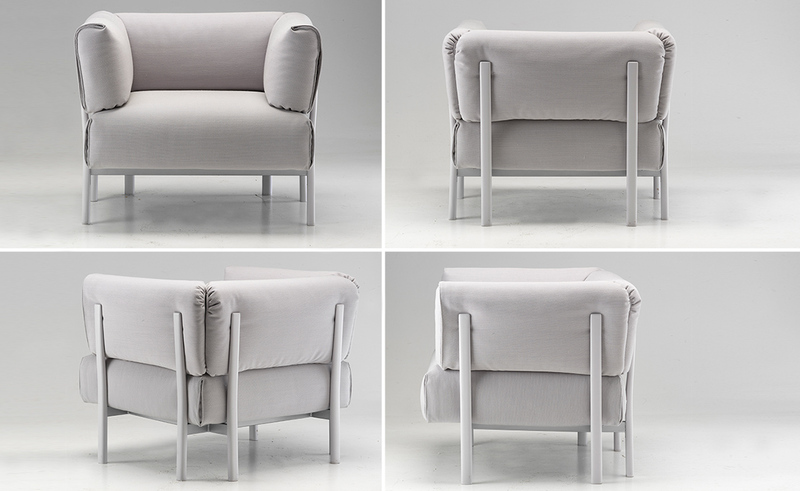 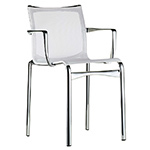 The Eleven collection is also available with polished aluminum legs (please call to specify). 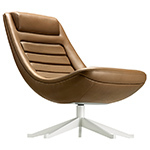 $3,986.00 + free shipping in the continental U.S.